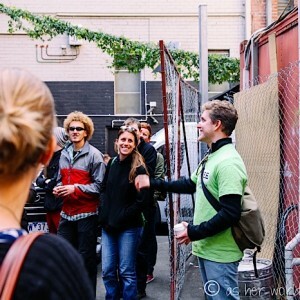 No, you don’t need to book unless you are a group of 10 or more or part of a school or Tertiary education group. For bookings please contact us or email us at melbourne@imfree.com.au. 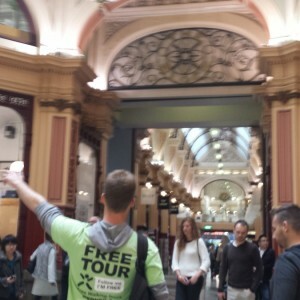 The ‘Melbourne sights’ tour is accessible to both pram and wheelchairs. It is a walking tour. 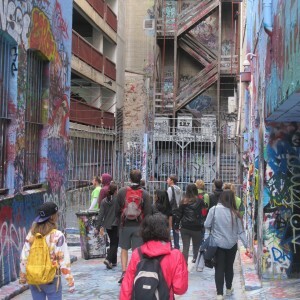 The ‘Melbourne Sights’ tour is 3.5-4km (2 -2.5 miles) in total and we walk at a leisurely pace, stopping to speak at regular intervals along the way. 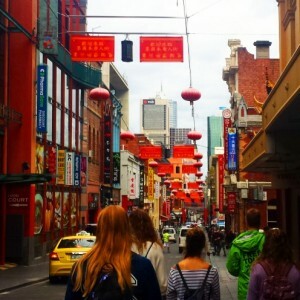 Where does the 'Melbourne Sights' Tour end? 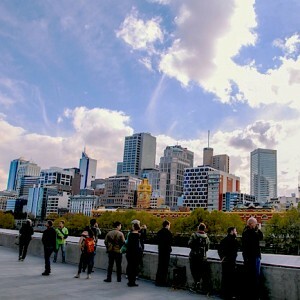 The ‘Melbourne Sights’ Tour ends at Hamer Hall at South bank. 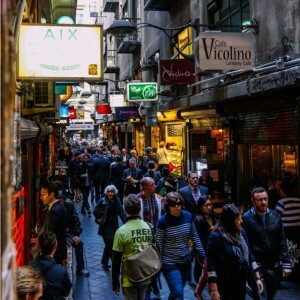 A short walk from Flinders Street Station and Federation Square. 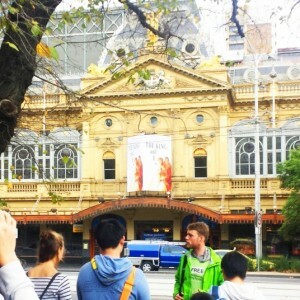 Where does the 'Melbourne Sights' Tour Start? The ‘Melbourne Sights’ Tour starts in Front of The State Library of Victoria next to the Sir Redmond Barry Statue on Swanston Street. 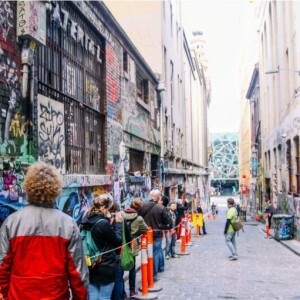 How do I get to the start of the 'Melbourne Sights' Tour? 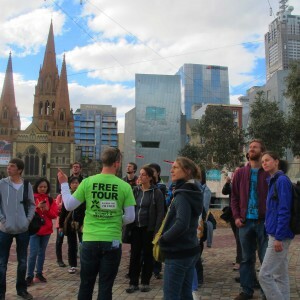 The ‘Melbourne Sights’ tour starts in front of the State Library of Victoria (328 Swanston Street) to the northern end of Melbourne’s Central Business District. The start point is across the road from Melbourne Central train station and the trams along La Trobe St and Swanston St also stop in front of the State Library of Victoria. Click here for google maps directions. Where does the 'Culture Capital' Tour end? The ‘Capital’ Tour ends at ACDC Lane. Where does the 'Culture Capital' Tour Start? 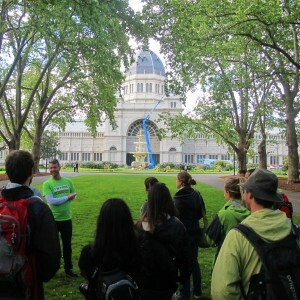 The ‘Culture Capital’ Tour starts in Front of The State Library of Victoria next to the Sir Redmond Barry Statue on Swanston Street. How do I get to the start of the 'Culture Capital' Tour? 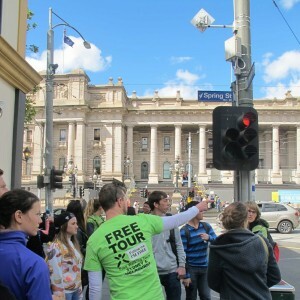 The ‘Culture Capital’ tour starts in front of the State Library of Victoria (328 Swanston Street) to the northern end of Melbourne’s Central Business District. 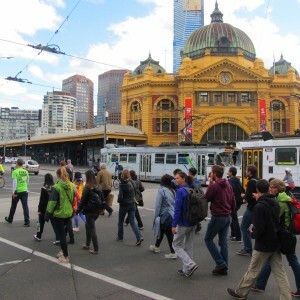 The start point is across the road from Melbourne Central train station and the trams along La Trobe St and Swanston St also stop in front of the State Library of Victoria. Click here for google maps directions.